I'm heading home of San Diego this weekend and I can't help but long for carefree summer nights on the beach. Drinking cheap beer around a bonfire, laughing with friends, wearing shorts and a sweatshirt at the same time...these are a things that I equate with summer. On another note, I am excited to be Tartan and Sequins "Girl Crush of the Week". Hop on over to learn a bit more about me and have a peruse of the lovely blog written by two lovely ladies. I don't post many pictures of myself (other than on Facebook), so below is a sneak peak of what you will see on Tartan and Sequins. That maxi skirt is perfect! I love that whole outfit you chose, the booties especially! I love summer bonfires so much. And you look beautiful! The maxi is amazing. Also love the collage.. it made me wonder why I don't have that House of Harlow ring yet. Love the boots too. I've been on a search for a good pair and I love that those have fringe. Adorbs! You look adorable and I LOVE those boots! Have an amazing time in San Diego this weekend! I miss it there SO much! PS I just put my white converse in the washing machine when there dirty :) also, use nail polish remover on the rubber parts, works perfect. You and your pup look so adorable in that picture. Have a happy summer weekend! i like your skirt and those boots. don't forget to check out my $50 gift card giveaway! love this look! have fun this weekend! Awww what a cute pup! Love your summer night picks - that ring is gorgeous! Thanks for allowing us to feature you doll! 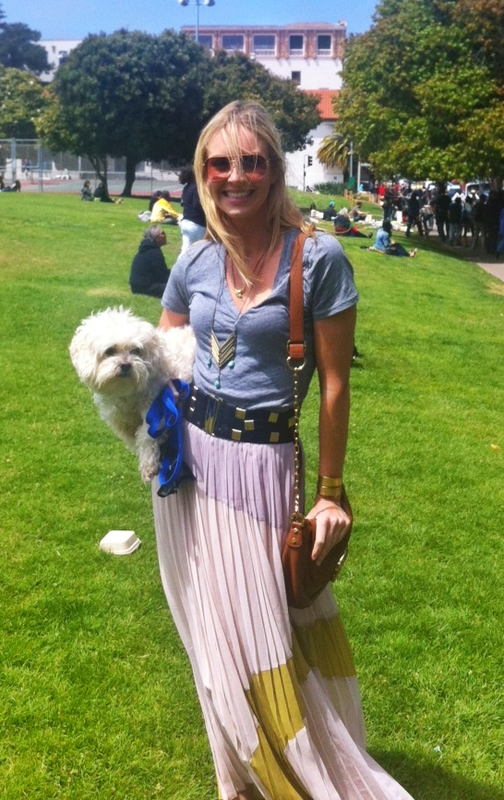 I looove the bag and those shorts, and heeeyooo your long skirt is gorg and you are adorbs!! Your outfit is great! Amazing skirt! have a great weekend! I love your vision for the weekend - perfection! Great look, love the fringe boots you chose in the first set of pics. Love your chic summer time boho park outfit! And that fur baby is ADORBS! Wow I love this outfit it's so unique!! The skirt is stunning! Beach Bonfire Dreams ... sounds like a book, a perfect one to read with sand in your toes in sweatshirt and shorts (love that, so true). Sounds like the perfect Summer night and love those aztec shorts !! I love your blog! So glad you found me... I'm honored to be the one to get you to the 500 mark! Give Chopper a little scratch for me, won't you? obsessed with that pleated maxi! !